Insurance and Risk management are not the easiest elements to manage in a fleet’s total cost of ownership. 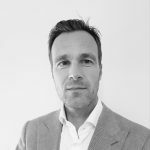 It can be challenging for fleet managers to develop a strategic view on their insurance portfolio and on the risks their drivers face or indeed the risks they may already have insurance for. Account managers at Business Lease have noticed that fleet managers often do not have an overview of their claims history. Nevertheless, claims data analysis can often reveal particular types of accidents that occur more often than others. For instance, a high frequency of damage to front bumpers, can be countered by adding parking sensors to a car policy’s standard equipment. In turn, this could lead to lower premiums. Technological developments enable fleet operators to analyse their insurance needs in great detail. 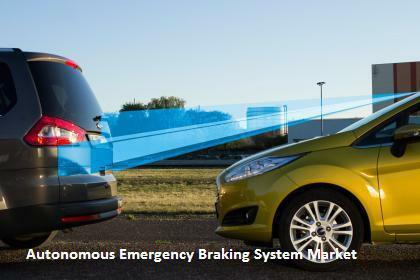 Research in the United States, the UK and Germany all indicate that Advanced Driver-Assistance Systems (ADAS) like Autonomous Emergency Braking (AEB) reduce the crash incidence by 30%, making it worthwhile to invest in fleets that are equipped with these systems. Modern cars are often pre-equipped with ADAS but retrofit options are available for older vehicles, too, offered by companies like Mobileye. As an additional bonus, as a driver’s behavior improves, the vehicle’s maintenance and repair bills go down. Drivers who record more than one incident of harsh cornering per 100km, for instance, experience much greater tire wear, which can increase tire costs by 73% according to findings of DriveTech. It can be cost-effective for companies to invest in vehicles with driver assistance systems to renegotiate their insurance premiums. Nevertheless, it is essential for drivers to turn on the safety features their cars are equipped with and it may make sense to add this requirement in the company car policy. Companies can also increase the deductible they hold their drivers liable for, but such measures can be controversial from a human resources point of view. Another important step is to have a full view of all insurance policies a company has obtained. If theft of objects from a car is already covered by a company-wide policy, it can easily be removed from insurance policies associated with leased cars. Understanding your claims history can help companies keep their TCO down and it can help define a car policy. Indeed, companies looking for ways to optimize their TCO should also have a view on their insurance needs. And this is something their fleet management or leasing company can offer assistance with.